English Harmony System 2.0 - Read my review to find out what it offers to teach you speak English well. Today learning English is considered utmost necessary and there are many ways of doing it. You may learn it in schools, join classes and use softwares that teach English. It has been clear but not widely known that learning the basic grammar and understanding English in schools is not enough for anyone. You has to put in an extra effort to become a fluent English speaker. This is where the "English Harmony System 2.0" comes in. Recently I have found a very interesting English course. 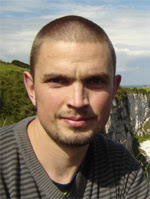 The "English Harmony System 2.0" was created by English fluency expert Robby Kukurs. What interesting, Robby is not an English native speaker. He was born in Eastern Europe and struggled for years to speak English fluently. Now he lives in Ireland and he speakes better English than some native speakers. How this has happened? After years of learning, Robby discovered the best way to learn English in order to achieve English fluency in a short time. He put together all necessary pieces and created English learning system that can help anyone to speak English fluently. The English Harmony System 2.0 is a collection of CDs and reading material that helps you to master the art of speaking fluent English. It has been developed by a man, an English Fluency Expert himself who struggled to learn English until finding out the real way to speak fluent English. Why English Harmony System 2.0? Now you might wonder as to why we should purchase something that we are already getting in schools. We have teachers who take regular classes that teach us the grammatical rules in English. But this does not help our pronunciation skills and yet there are people whose grammar is still terrible after all of these years at school. The only way to be fluent in the language is to speak it. This is what the English Harmony System 2.0 aims at. Fluency in English is determined as to how effectively we can use the English word combinations in real-life conversations. The English Harmony System 2.0 tends to go back to the basics and teaches us English the way a mother teaches her child the native language. You might not have noticed but 80% of the English conversations require only 20% of the English material that is taught. This means that a greater focus should be placed on 20% most used words and phrases rather that wasting time on the rest of the 80%. The English Harmony System 2.0 does not tell you everything about English, but helps you to communicate fluently in English. After all, this is what we want. Traditional English learning emphasizes highly on learning the rules of grammar. Now, grammar rules are never fun and what should be taught is to use grammatically correct sentences. The English Harmony System 2.0 teaches you effective rules of grammar in communication rather than in writing them down and learning it up. Module one consists of a “Speech Master” in which you receives 30 interactive video lessons, almost 10 minutes long. These lessons focus on you speaking as it corrects your grammar in your speech. It helps you in picking up the English language in a natural way. Module two has a “Confidence Mentor” which helps in confidence building, one of its kind. It helps you in speaking effective English at lightning speed and handle situations when you are under stress. These situations can be meetings, dates or interviews. To make it friendly, the “Confidence Mentor” also has suitable background music as well. Module 3 has a “Chat Assistant” which you can use to chat with friends and meet new people all over the world. It also teaches you additional words that are used by people who speak English. It is filled with real-life simulations that create an English speaking environment for student. Apart from this there is also the “English harmony: Insider’s Secrets” which is 68-page book which has all the necessary instructions about the English Harmony System 2.0. You might think that with so many features the English Harmony System 2.0 would be expensive. But think about the load of books you might buy and the time you would spend in classes and compare all that to this, and the price seems like a very good deal. 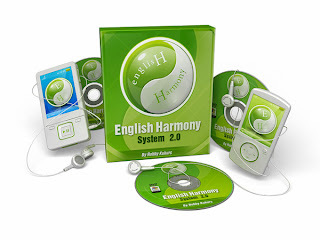 The English Harmony System 2.0 comes with a Free Lifetime Updates Super Bonus where you will receive in the future new versions of English Harmony System 2.0 at no additional cost. The second Super Bonus offered by the English Harmony System 2.0 is the Personal Customer Support where you get guaranteed answers to everything. It has a guaranteed response within 24 hours. I highly recommend the English Harmony System 2.0 for every student who has ever struggle with English learning. With this program you have nothing to lose and everything to gain. "Point Of View Mini-Stories" are the most powerful way to learn and use English grammar automatically. Use Point of View Stories for Automatic Grammar. You must learn grammar by listening to real English. The best way is to listen to the same story... told in different times (points of view): Past, Perfect, Present, Future. It is powerful. It is simple. It is successful. You will succeed. You will use correct grammar naturally and automatically. This is the secret to English grammar. RULE 3: The most important rule - Listen first! You must listen to understandable English. You must listen to English everyday. Don't read textbooks. Listen to English. That is the key to your English success. Stop reading textbooks. Start listening everyday. Learn With Your Ears, Not Your Eyes. After spending a lot of time and exertion to learn English at general schools, students still cannot obtain four basic skills of listening, speaking, reading and writing. Students can read, but cannot understand. Pham Thanh Tam, Headmaster of the Hong Duc High School in Binh Thanh district in HCM City, said that many times he examined the English skills of 12th graders to prepare them for the final exams, and found out that their skills are too bad. “Students can read text, but they do not understand the content and they cannot summarize the text,” Tam said. A survey conducted recently by the HCM City Department for Science and Technology has also shown pessimistic results. After finishing secondary school, ninth graders can only speak simple sentences, such as greetings, giving names, while they cannot relate a tale with 100 words as requested by the foreign language teaching program. How many percentages of students have weak skills in listening and speaking? The answers are 78 percent for students and 70 percent for teachers, 73 percent for management officers and 75 percent of students’ parents. In late 2011, the reports released by the British Council and Apollo Education Center, show that Vietnamese students ranked the 8th out of the 20 surveyed countries in reading and writing skills, but ranked the 18th in listening and speaking. Cao Huy Thao, now Headmaster of the Vietnam-Australia High School in Phu Nhuan district in HCM City, former Deputy Headmaster of Luong The Vinh High School in district 1, who spent many years on teaching English, cited many factors that lead to the low quality of English teaching at general school, including the unreasonable curriculums, teaching and learning conditions, unqualified teaching staff and unreasonable assessment method. Tran Dinh Nguyen Lu, an official of the HCM City Education and Training Department, also said that the curriculums are not really “modern” with low updating levels. Especially, the curriculums have been designed in the way that adults force children to learn according their way of thinking. Educators said that in teaching foreign languages, students need to practice regularly, which means that teachers should organize various activities during the lessons. In order to do that, the classrooms need to be located separately from other rooms, so that the students’ activities do not affect the nearby classrooms. Besides, the number of students in a class should be low enough to ensure that all of them can practice in the lessons. Especially, teachers themselves need to have good listening and speaking skills. Meanwhile, general schools all complain that it’s very difficult to find qualified English teachers nowadays. Le Thuy Hoa, Headmaster of the Thai Binh High School, said that the teachers of the schools are all excellent graduates of the Foreign Language University of Education. However, they cannot work as interpreters when the school receives foreign guests. Hoa said that an international agency has sent officers to the school to help the school improve the English teaching. The officers need an English teacher of the school to help them during the lesson. However, the best teacher of the school said she is not confident enough to take the job. A recent survey on the qualification of English teaching staff at general schools of Vietnam in accordance with European standards showed surprising results. Only 14 percent of secondary school teachers and 4 percent of high school teachers in Hai Duong province can meet the standards. The official result for HCM City has not been released, but sources said that only 5 percent of teachers can satisfy the requirements to teach at secondary and high schools.